I'm 13 years old and trying to learn how to swim. I can't swim because I can't float. How do I learn how to float and can you give me some advice for learning how to swim. It sounds like you're stressing a lot about learning to swim and not being able to float. There are a few things to understand and get straight in your head to begin with. Firstly forget trying to float - not everyone can float and those of us that can't are still able to learn how to swim. I've been a swimmer since I can remember and I don't float - never have done and never will..! Its the movements and technique of swimming that keep us afloat. As an athletic gymnast and dancer you will be lean and not fat, therefore you will naturally sink. Fat floats and muscle sinks - fact. 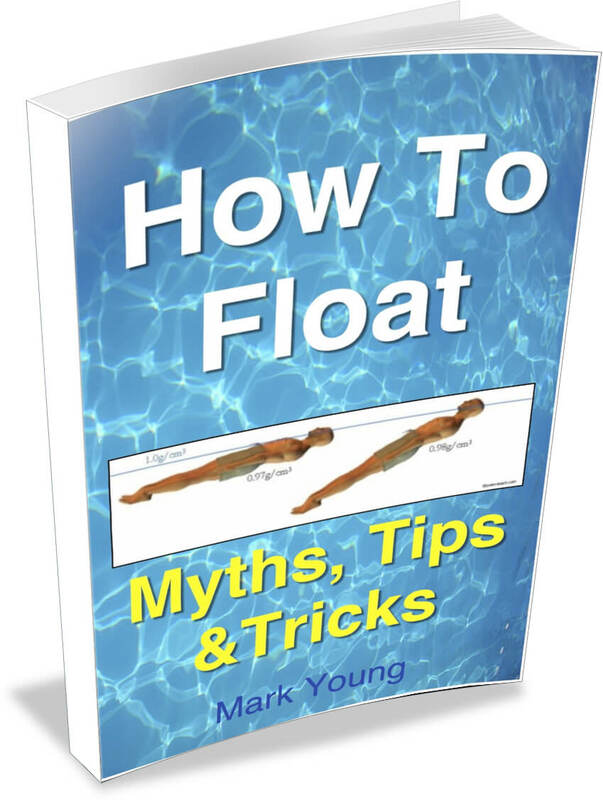 For more some helpful tips, tricks and exercises to help learning more about how to float, click here or download the book at the end of this article. It sounds like you have no fear of the water and are happy to get in and have a go. Thats a huge bonus as there are tons of teenagers and adults that won't go near the pool and really wish they could have the courage to do so. Be proud of the fact that you have decided to go for it as there will be many people looking on in envy of you. The basics that you need to master are holding your breath, breathing out into the water, submerging and learning to stand up from a horizontal position. When thees things become second nature you will begin to relax and your confidence will begin to grow. needs some momentum to help keep it up and pushing off from the wall will give you a boost. From there its a question of adding the arm pulls and leg kicks to maintain your position and move through the water. I say it like its the easiest thing in the world - apologies! It can be frustrating to begin with but believe me it comes with practice. As for which stroke to swim, its a case of trying out to see which comes easiest to you. It will be between front crawl and breaststroke. The coordination for each stroke is different and you will find one easier than the other. Its an individual thing so try and see. The odd thing about swimming is that its easy to try too hard. By that I mean we put maximum effort into kicking and pulling and get nowhere fast. The trick is to swim slowly. Feel your way through the water, don't fight it. The most important point for you to take on board is patience. It can be frustrating, at times wondering if you really are getting anywhere. Especially if you have friends and family that can swim and have swum all their life. They make it look so easy. Some of us take a long time to learn how to swim - a year or more sometimes. If you keep this in mind and assume you are one of those people (but you might not be), then you will not be setting yourself up to fail. If you practice on a regular basis, as much as possible, then there is every chance you will learn how to swim in a few months. I hope my advice is helpful and that I have given you some encouragement to persevere and be determined.